NIH Official Calls For Extension Of Moratorium On Bird Flu Experiments : Shots - Health News Dr. Anthony Fauci, director of the National Institute of Allergy and Infectious Diseases, said public discussions about controversial bird flu experiments are needed before a moratorium on them can be lifted. National Institute of Allergy and Infectious Diseases Director Dr. Anthony Fauci said a voluntary halt to bird flu research should stay in effect. A voluntary moratorium on certain experiments involving forms of bird flu altered in laboratories should continue until there can be more public discussion of safety concerns, a prominent government official told flu researchers at a meeting in New York City Tuesday. "I strongly recommend that you continue the voluntary moratorium until we can have this open and transparent process," said Dr. Anthony Fauci, director of the National Institute of Allergy and Infectious Diseases, which funded the research. U.S. government agencies such as NIAID, part of the National Institutes of Health, couldn't support lifting the moratorium now for federally funded science, he said, adding that plans for a broader public consultation are in the works. 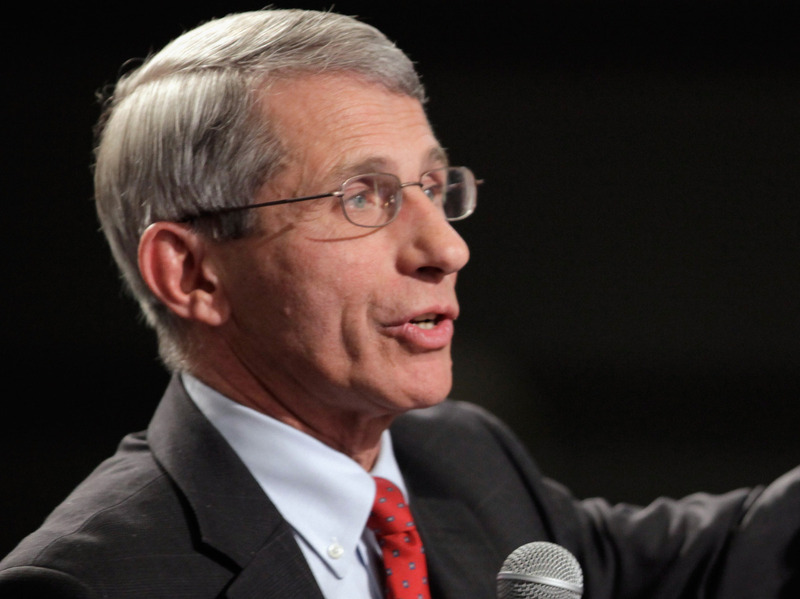 Fauci's remarks were made at a meeting that was originally closed to the press. Officials reversed that decision Sunday, the night before it started and allowed reporters to attend. Researchers put certain experiments with H5N1 bird flu on hold back in January, because of concerns that the viruses they had created could start a pandemic in people if the germs ever got out of the lab. The moratorium was supposed to last 60 days, but has been in effect for more than six months. Some researchers are eager to restart, as they say the studies are vital for helping to prepare for a pandemic that might occur naturally. Take Ron Fouchier of Erasmus Medical Center in the Netherlands. His lab did one of the controversial experiments with funds from the NIAID. "It is my opinion that we should lift the moratorium," Fouchier said. Fouchier points out that the two scientific manuscripts describing the experiments have been openly published, there has been time to discuss the work, and countries have had time to review the biosafety requirements. He says those were the original reasons for instituting the moratorium and now all of those conditions have been met. He noted that some scientists who signed the voluntary moratorium don't rely on U.S. government funds. They're also working in countries that, unlike the U.S., haven't decided to take any new regulatory actions. "There is no reason to stop them from doing this work," Fouchier said. But Fauci told flu researchers that they need to engage with the global public and address the concerns that have been raised. "You will unquestionably lose the battle for public opinion on this one if you ignore these concerns. You can't ignore them," Fauci told the audience. "The flu scientific community can no longer be the only players in the discussion of whether the experiments should be done." Fauci outlined interagency discussions that have been going on within the U.S. government. He said there's a plan to call a public workshop that would include international participation to discuss these issues. A similar meeting is being planned by the World Health Organization, but it won't happen until next year. Fauci said WHO leadership in this effort would be welcome, but he's not counting on it. "I don't think that that's going to happen because they have not come forth and said that's the responsibility that they want to take," he said. "But we do have to have WHO representation in any process that I'm talking about now. And so we can make them part of this international dialogue." Virologist Robert Webster, a prominent flu scientist at St. Jude Children's Research Hospital, said that he too supports a continuation of the moratorium. "At my dinner table, my grandchildren are concerned," he said. "So I have to convince them that it is safe to continue these important works." One of the main concerns surrounding the research is the threat of accidental release, if the mutant bird flu experiments get repeated in labs around the world that do not have the same security and safety precautions that are mandated by the U.S. government. "This issue has been raised but there has been no discussion of how to deal with it," said Dr. Yoshihiro Kawaoka of the University of Wisconsin-Madison, whose lab did one of the controversial experiments.